Posted on February 5, 2019 at 12:15 pm. Wimmera has seen a surge in gambling activity as electronic poker machines keep swallowing huge amounts of money. 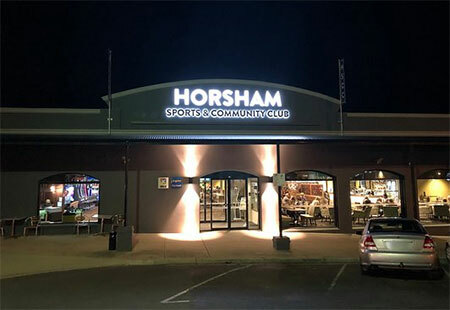 According to recent statistics from the Victorian Commission for Gambling and Liquor Regulation (VCGLR), gaming expenditure in the Horsham Rural City Council rose to $5,209,336 between July and December 2018. This marked a significant increase on the previous six-month period when punters in the region forked over $4,582,920. The 83 pokies games at the Horsham Sports and Community Club (HSCC) were the biggest collectors, swallowing $3,009,465. The rest went through the 36 machines at Horsham RSL ($1,180,343) and the 34 machines at West Side Horsham ($1,019,528). According to HSCC club manager Glenn Carroll, all profits accrued from gaming, after regular trading, go back to the community through a grant program. He added that the establishment had adopted several measures to help prevent gambling addiction. “There is an opportunity for people to self-exclude themselves from the venue if they have a problem with gambling,” Carroll said. Ararat Rural City and Northern Grampians Shire also had their share of losses. They recorded gaming expenditure of over $4.7 million in the same six-month stretch while losses rose 3.33 per cent to $312,360 in the Northern Grampians. Shire Mayor Kevin Erwin expressed his council’s readiness to support the state government’s policies to curb problem gambling and losses. “We are really supportive of the whole gamble responsibly messaging,” he said. “We recognise gambling can be a problem in the community. Between July and December 2018, gambling machines in Victoria swallowed over $1.4 billion. Grampians Community Health counselling program leader Jemima Bibby indicated compulsion gambling was “beyond money”. “The consequences can include the breakdown in relationship reducing self-esteem that can impact the ability to work or study, this can cause anxiety, depression and suicide,” Bibby said. “Even though most people believe that it is the individual’s issue, it also affects their significant others, and the other side of it is that substance use and gambling often occur together.